"Hilary's unique style, attitude, and personality will take your teaching to a new level and new way of thinking in regard to your clientele and their goals and needs." This program is a way to enhance your skills, teaching style, refresh and re-energize your teaching, deepening your knowledge in a personal one-on-one apprenticeship style environment. Go deeper into the Traditional Method and into each exercise to understand why, when or how to use with your clientele, to truly understand the work. This program is a year long commitment in which time you will see a true shift in your teaching and how you approach your clients in terms of their needs and goals. A customized program is set up for each individual instructor based off interview and application. As part of the program mentor is open to travel with me for different workshops, teacher trainings and conferences. I have been honored to have mentored and coached teachers all over the country. Monthly program: $4,000 - includes a monthly 3 hour meet/lecture/ learn session, 12 homework projects, manual, discussion groups and monthly observation time of teaching. Includes opportunity to travel to other studios with Hilary during Mentorship, Participation in Pilates Has Heart, Year of WAP Grad Program, Observations and participation in the WAPilates Teacher Training class during your Mentorship. Every other month Program-$2,268- includes 3 hour meet/lecture/learn session every other month, 6 homework projects, manual, discussion groups and 6 observation time of teaching. Participation in Pilates has Heart Event, 6 WAP Grad Program workshops, 6 WAPilates Teacher Training class observation and participation. Quarterly Program- $1512- includes 3 hour meet/lecture/learn session every quarter, 4 homework projects, manual, discussion groups and 4 observation time of teaching. Participation in Pilates has Heart, total of 4 WAP Grad Program Workshops, total of 4 observation and participation in the WAPilates Teacher Training class. 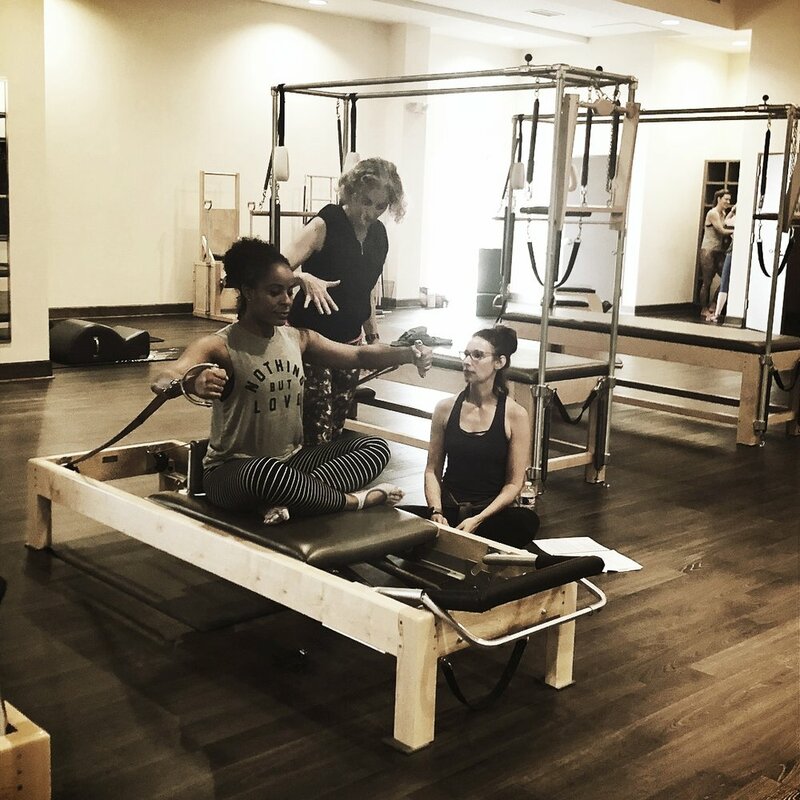 Sharing passion of Pilates while learning and connecting to the work is the joy of it all! I wanted to offer my Mentorship Program to those who may not be able to travel to Houston. This Program has the same Mentorship Opportunities as those that are here in Houston in terms of Monthly, every other month and quarterly. 3-hour meets/lecture/learn are via skyp or facetime with same travel opportunities, projects, manuals, discussion group, WAP Teacher Training Class via skype or facetime each weekend, opportunities and observation teaching.